Howdy, friends. It’s been a while. I’d like to tell you that I’ve been way busy with super fun things but I haven’t. Instead, I’ve been working my way through some personal junk and it’s been trying. Let’s just say my to-do list as of late has not included baking cookies. We live in a world dominated by self-indulgent, narcissistic social media. We view people’s lives through a lens of comparison and we sit on the other side feeling ‘less than’. We wonder why everyone else has what we don’t and does what we won’t. We capture only the happiest moments through photos and tweets and status updates and we leave out all of the pain and heartache that is often the veil over all of our perceived joy. We show people how great we are, how much we’ve accomplished, how perfect our lives are. We never reveal the days where we cry so hard it makes us sick. We don’t post photos of our swollen eyelids and talk about our broken hearts. We paint a picture of how happy we are while simultaneously dying inside. We validate our worth by how many likes and followers we have and we become robots programmed to be something we aren’t. We drift away from facing feelings that make us human. Feelings that make us feel. This is not a space to air all of my thoughts and opinions. But it is a space for me to be me. I care so deeply that each of you chooses to visit with me here and chooses to let me into your life a little bit. With that, I am hoping to represent authenticity in a way that when you do come here, you will gain access to the real me. I hope that you will feel less alone and that you will know someone out there isn’t living a perfect, unattainable, fabricated life. That someone out there isn’t afraid to be vulnerable, to show scars and to admit that I am only doing the best I can, day after day. As far as cookies go, these are such a delight. I am so happy that this is one of the recipes that’s brought me back to life a little in the kitchen. I just love this dough flecked with vanilla bean. Add sprinkles to that and it’s like celebration in a bowl. I feel like it’s literally impossible not to be happy looking at these little dough balls. It felt good to bake these and share them with people I love. It encouraged me. It made me feel like me. When you spend time away from feeling like yourself, it really is a victory when you regain that ground. Thanks for supporting me here, friends. I am grateful for you. Why Sara Bareilles? Sara’s lyrics have a way of carving themselves into your heart and inspiring a sense of self in a way unique only to her. The Blessed Unrest is an album I’ve relied on for several years to help remind me that I am brave, strong and worthy. With lyrics like maybe there’s a way out of the cage where you live, maybe one of these days you can let the light in, it’s hard not to feel inspired to change, press on and stay the course toward a brighter tomorrow. Pairing this album with sprinkle cookies is as encouraging as it gets. In a medium bowl, whisk together flour, baking powder, cream of tartar, baking soda and salt. 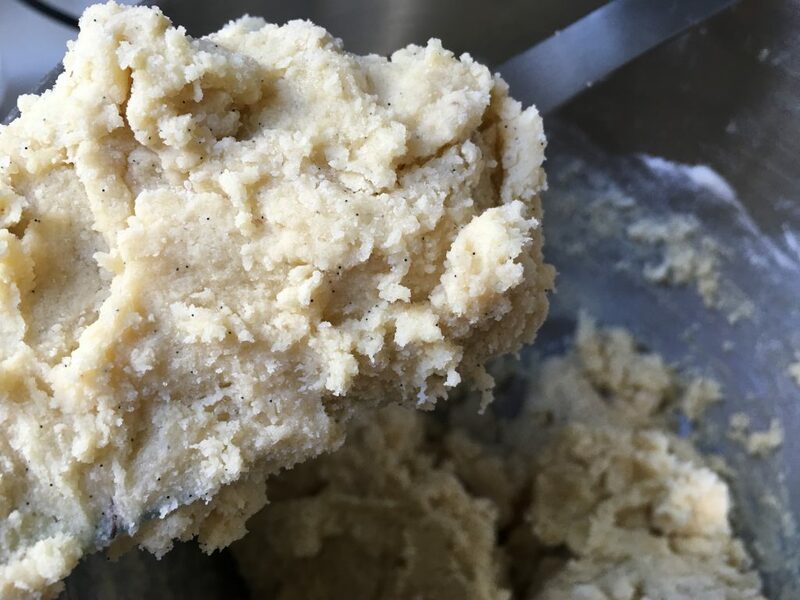 In the bowl of an electric mixer fitted with a paddle attachment, beat the butter and sugar at medium speed until light and fluffy, about 3 to 4 minutes. 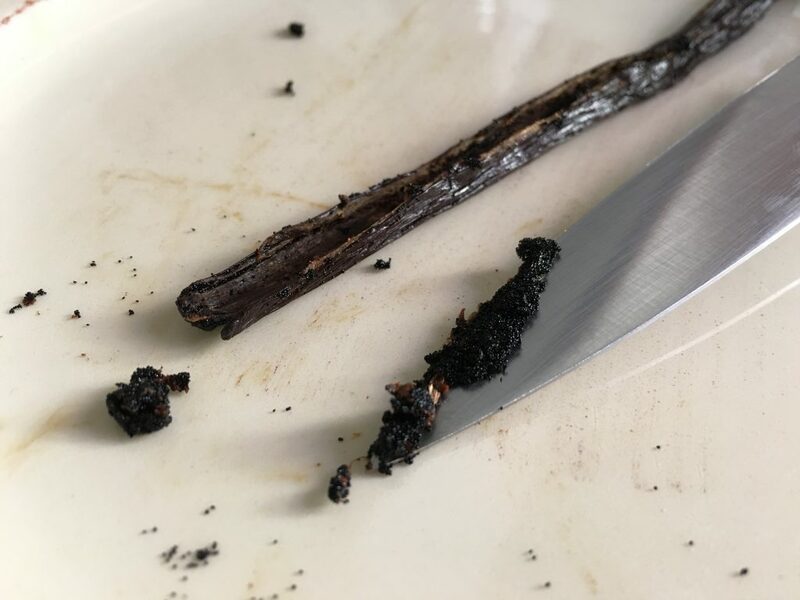 Split the vanilla bean and scrape the seeds into the bowl. Add the egg and vanilla extract and beat until thoroughly combined. 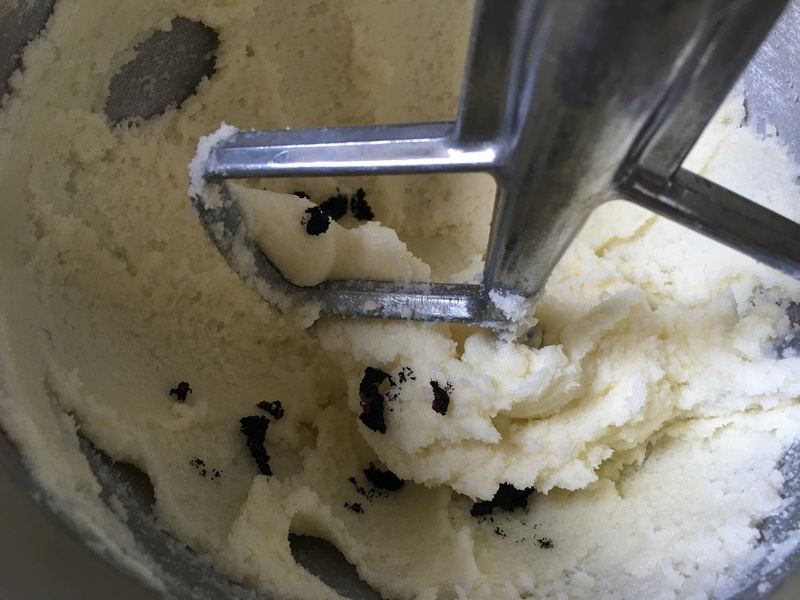 Reduce the mixer speed to low and slowly add the dry ingredients into the wet ingredients. The dough will be thick (you may have to finish incorporating the mixture with a spatula). 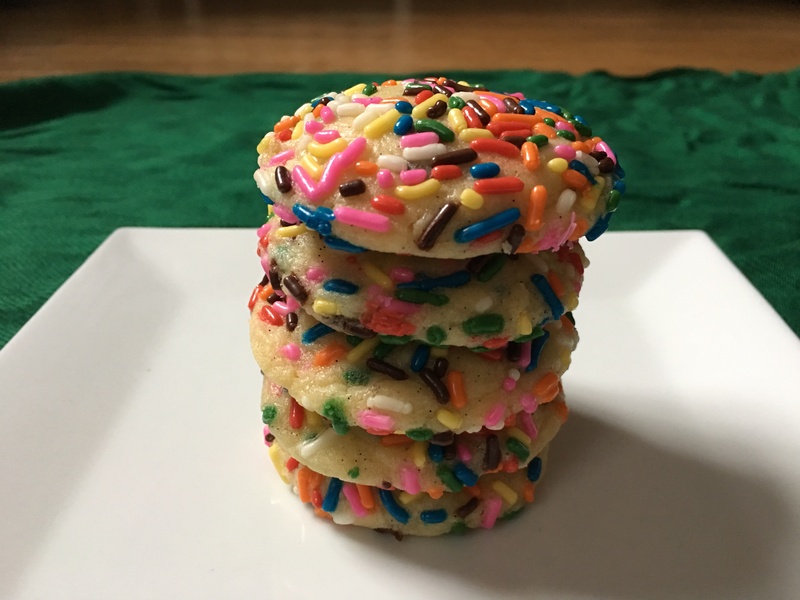 Fold in 1/4 cup of the sprinkles. 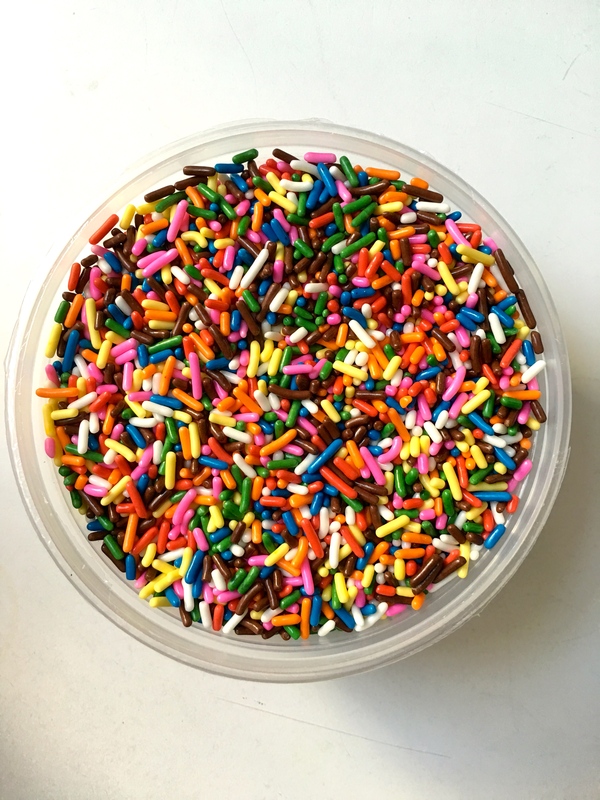 Place the remaining 1/4 cup sprinkles in a bowl. Scoop up 2 tablespoons of dough and roll into a ball. 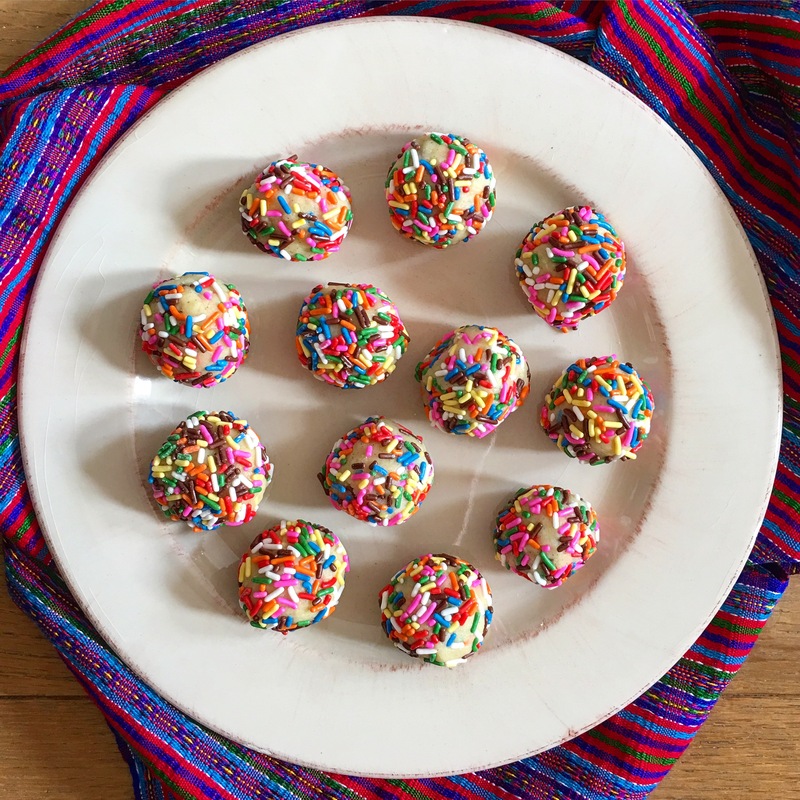 Dip the ball in the bowl of sprinkles to cover lightly. Put the balls on a plate. 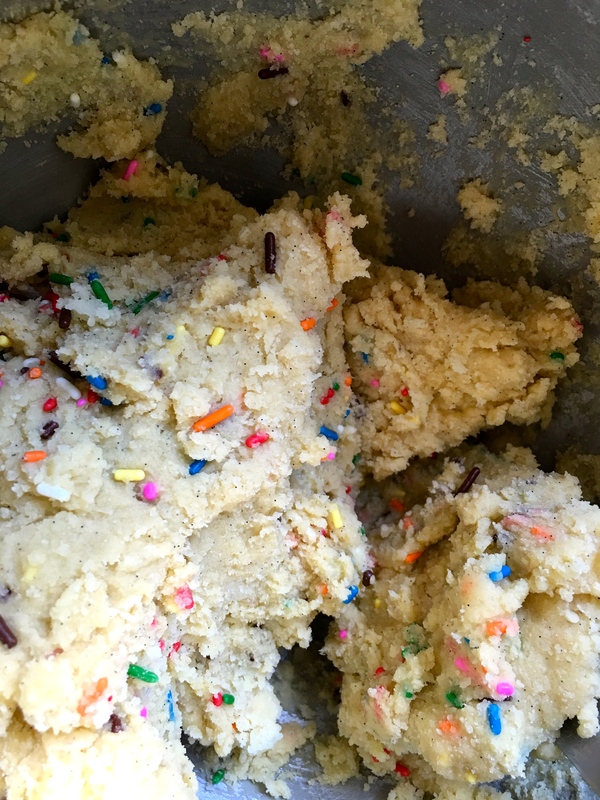 Repeat with the remaining sprinkles and dough. Chill the dough for at least 2 hours. Place racks in the center and upper third of the oven and preheat the oven to 350 degrees F. Line 2 baking sheets with parchment paper. Transfer the chilled dough balls to the prepared baking sheets, leaving about 2 inches of space in between each ball. Bake until the cookies have spread and are just beginning to brown around the edges, but are mostly pale and soft, 8 to 10 minutes. Let cool on the cookie sheets for 5 minutes before transferring to wire racks to cool completely. The cookies will keep in an airtight container for up to 4 days. 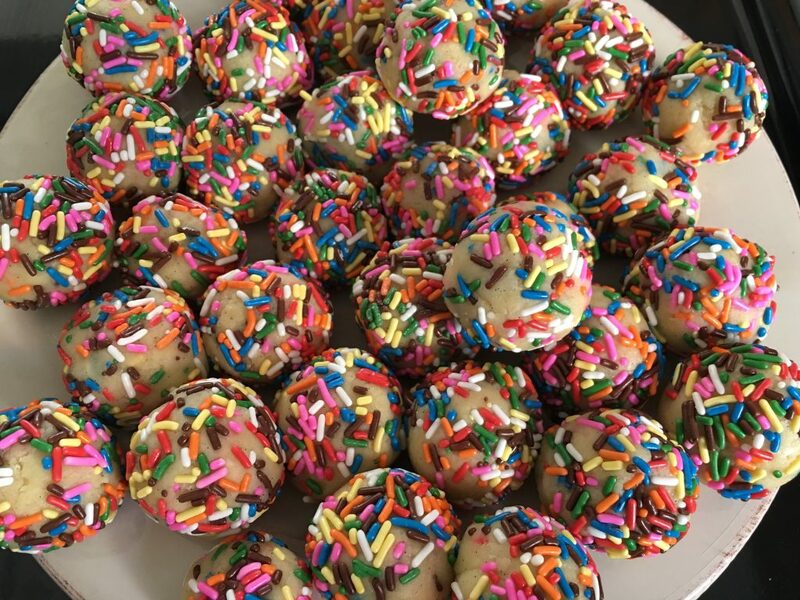 I ended up using more sprinkles than the recipe calls for because I love them. I wanted more in the actual dough and on the outside so feel free to go sprinkle crazy, too. Yum! They look amazing! How are they on the sweetness scale? Also, I ❤️Sara too. They’re a perfect sweetness level, Erica! More butter and vanilla flavor than anything. SO good! I WANT THESE! Maybe I’ll try to do them for Halloween with orange and black sprinkles…. Also, thanks for sharing. Love you! !